If you are like me, one think you get use to in Windows 8.1 is how your Start screen is configured on your PC. With a swipe to the left or right, I know exactly where certain apps are located that I access, making my user experience certainly more personal but equally faster for me day-to-day. As I posted earlier in the week, I picked up a Toshiba Encore 2 tablet on Black Friday. 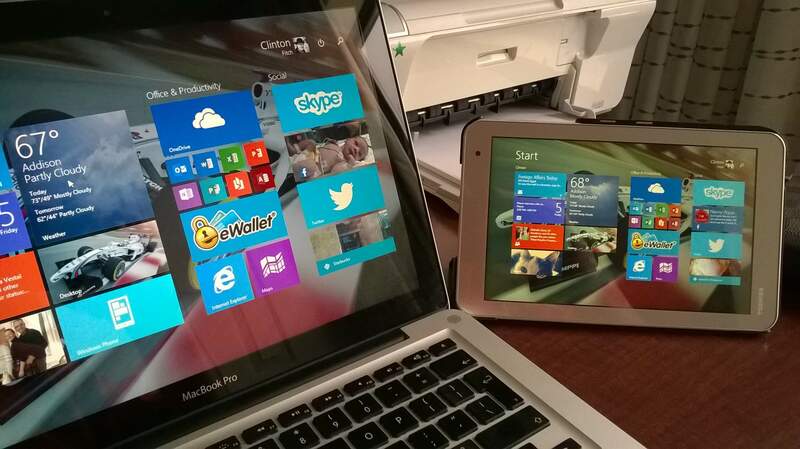 You can read my first impressions of the Encore 2 here on the site but now that I have two Windows 8.1 devices, the ability to sync my settings across my devices has finally come to age for me. The settings have always been there as a part of OneDrive but they are a bit buried and if you aren’t using multiple devices, there isn’t much of a point (although you can sync your theme colors to your Windows Phone). This is a small but powerful feature as it immediately allows you to have the same computing experience with the Start screen on any of your devices. In this How To I will show you how to sync your PC settings across your Windows devices using this small but powerful feature in your OneDrive settings. 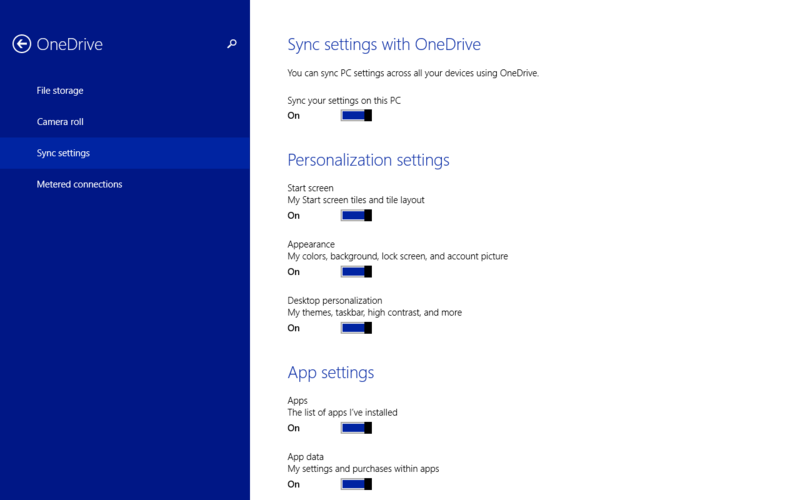 you will find a whole host of things that you can sync between your Windows powered devices using OneDrive and they are arranged into key categories: Personalization Settings, App Settings and Other Settings. It is here where you can also enable Backup on all of your PC settings. The Personalization settings allows you to sync things like your Start menu, theme colors and your Desktop settings across your devices. This is how you enable the ability to have the same look & feel across your Windows PC and your Windows Tablet as an example. Windows powered phones can take advantage of this to an extent as well. If you have the Theme sync enabled on your Windows PC and Windows Phone, when you change your theme color on one, it changes the other over-the-air. Personally I have everything on this page in OneDrive turned on because my OCD kicks into overdrive if I don’t have the exact same layout on my devices. I know, first world problem. I get it. To make the sync work across your devices, just enable the same settings on both of them. The settings from the “newest” synced device will be the one that is pushed down to the latest device that you have enabled. So in my case, I had my settings all configured the way I wanted them on my Windows powered MacBook. When I configured my Encore 2 tablet, I enabled the sync settings and it pulled down the settings, themes and apps list to the tablet automatically. For more How To’s, be sure to visit my How To pages for Windows Phone and for Windows.